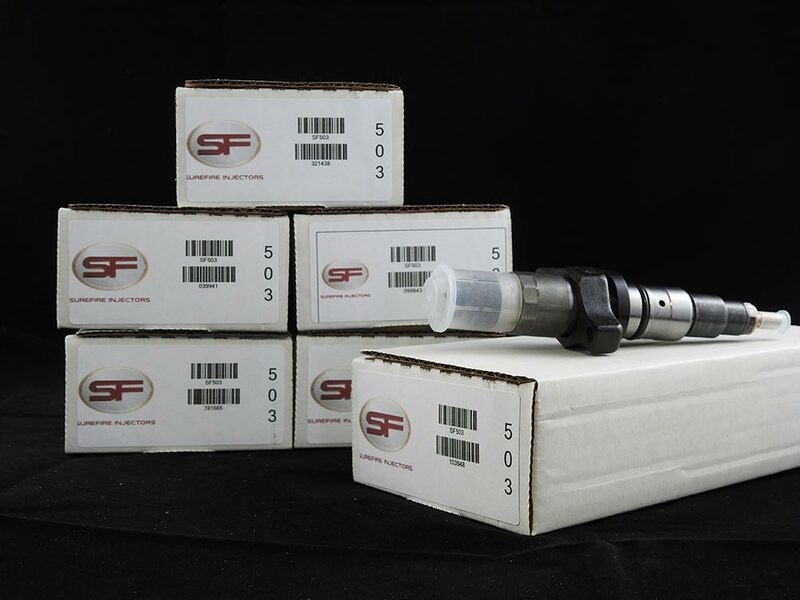 Here at Taylor Diesel, we don’t only have the real package to offer, but we also have aftermarket 2003 Cummins injectors all available and it comes in kits. In 2003, the dodge injector model was just the beginning of the new era of Cummins injectors. Dodge ditched the troublesome VP44 in favor of the more dependable Bosch CP3 injection pump which is capable of supplying fuel at up to 30,000 PSI to the rail. Most of the Cummins enthusiasts would definitely agree that this new system is easier to get larger horsepower from and all without losing the diesel fuel economy. They are composed of high-quality performance tips. These are not the cheap extrude hone tips which can cause the metal to flake, flow in excess and cracking. They even come with our 90 – day warranty. Whatever your objective is for your truck, whether it’s bigger horsepower or better handling, we can always help you out. In addition, every part is calibrated and tested on the original engine manufacturer’s qualified testing equipment. Aside from the replacements, we have also remanufactured 2003 dodge Cummins injector replacement available with a capacity that would definitely give you the real deal. If you are looking for a remanufactured 2003 dodge ram 2500 Cummins, you don’t have to worry. We got you covered. We have remanufactured 2005 Dodge 3500 Cummins fuel injectors on hand and in stock. We have stocks that improve the tuning of your engine and the power output that helps to keep the maintenance costs as low as possible. And we at Taylor diesel can keep your maintenance costs even lower by offering remanufactured dodge injectors that come in kits which have passed qualified benches. An injection system has an electric part that determines the amount of fuel that needs to be inoculated and when exactly it needs to be injected. The injectors execute the indications of the car’s computer. If they are not in good shape and condition, the engine of your car will not work properly, or it might even stop completely from functioning. The injection system is one of the solutions for your car to function properly since it is liable for injecting the essential fuel in an exact amount and at a specific and accurate moment. A good conditioning of your truck’s injection system will make your engine work wonders, while a poor conditioning can result in your truck to not run at all, so it really is an essential part of your automobile. In order to avoid this situation, it is absolutely important to have periodic maintenance revisions to your car. One of the things that take an important role in the injectors good functioning is the fuel filter: you should not forget to replace it when the manufacturer says so since a congested filter will make the fuel come in with contaminations and filth which will surely damage the injectors. Another way of taking care of your injectors is to not let the fuel level get to the minimum since the last reserves of fuel are murkier since it is where all of the dirt got accumulated – at the bottom of the fuel tank. Where To Buy 2003 Dodge Ram Diesel Injectors? After knowing all the things that our Dodge Injectors here at Taylor Diesel, you might be wondering where to acquire the dodge injectors. Well, put your worries aside because here at Taylor Diesel, we are where to buy 2003 Dodge injectors. We always make sure that we have stocks available for you. We are a trusted company that offers service, repair, and replacements of diesel fuel injection parts successfully for quite a long time. Our operations come in different states in different locations plus we also have our online stores which are very convenient for our customers these days. For any truck problems, we are the right company to call and we assure you or our spot on services. Call us! We would love to hear from you and answer any questions you might have about Dodge diesel fuel injection and full service diesel repair,High Output Dodge Cummins Fuel Injector Kits, Dodge Cummins Diesel Turbocharger and more diesel repair parts and services than we can list.